Cheteshwar Pujara and Virat Kohli built on an impressive 76 from debutant Mayank Agarwal as India piled pain on Australia in the crunch third Test. 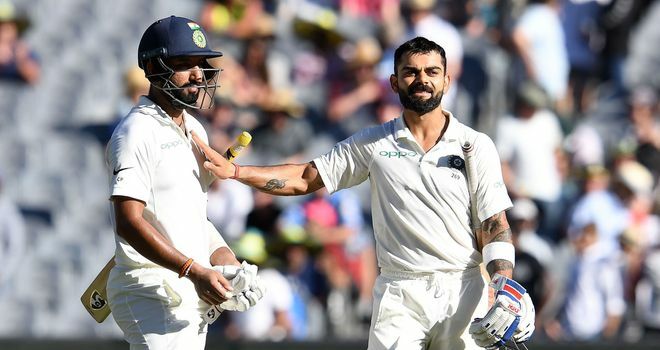 On a docile, batsman-friendly Melbourne Cricket Ground wicket, India ground their way to 215-2 at stumps on day one with the rock-like Pujara not out 68 and superstar Kohli unbeaten on 47 as the bowlers toiled in hot conditions for little reward. 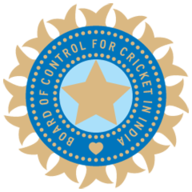 India came into the Boxing Day clash with a new pair of inexperienced openers after the misfiring Murali Vijay and KL Rahul were axed, suggesting a hint of panic as Kohli's men look to win their first series in Australia. Agarwal, who has been in fine domestic form, scored his first Test runs with a three through the covers off Josh Hazlewood and he had plundered 17 before the more cagey Hanuma Vihari, promoted to open from number six in Perth, troubled the scorers. 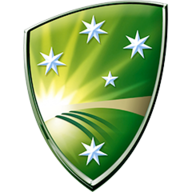 After two lively pitches in Adelaide and Perth produced results, the track in Melbourne was not bowler-friendly and skipper Paine brought on spinner Nathan Lyon in only the seventh over to see if he could weave some magic. The right-hander continued but when he tried to avoid another brutal Cummins bouncer the ball pinged off his glove and Aaron Finch took an easy catch in the slips and he was gone for eight. But Agarwal was unflappable and glided to his maiden Test 50 off 95 balls by effortlessly drilling a Lyon delivery past the non-striker for four, with his 76 is the highest by an Indian opener so far this series. Kohli quickly got into a rhythm when he arrived at the crease, accelerating the run rate as he rattled off a string of boundaries, with the signs ominous for Australia going into day two.